Brewsterite-Sr: Mineral information, data and localities. 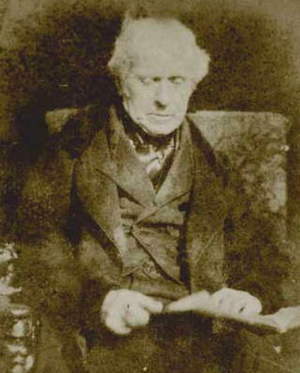 Named after David Brewster (1781-1868), Scottish physicist, who studied the optical properties of minerals and the element strontium. Zeolite Group. 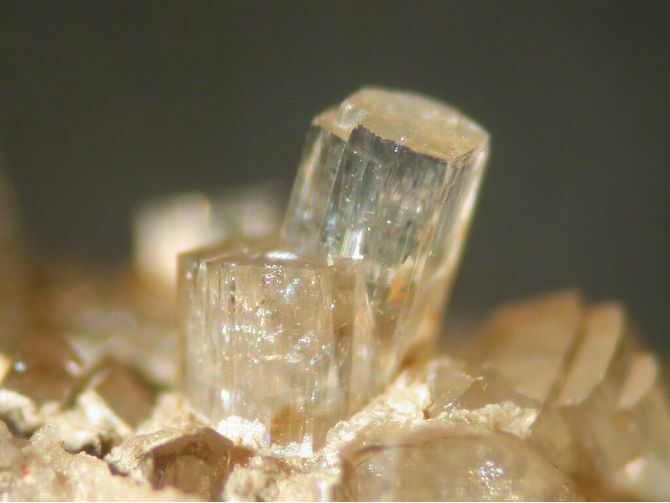 The strontium analogue of Brewsterite-Ba. Harmotome 2 photos of Brewsterite-Sr associated with Harmotome on mindat.org. Heulandite-Sr 2 photos of Brewsterite-Sr associated with Heulandite-Sr on mindat.org. Strontianite 1 photo of Brewsterite-Sr associated with Strontianite on mindat.org. Coombs, D.S. et Al. 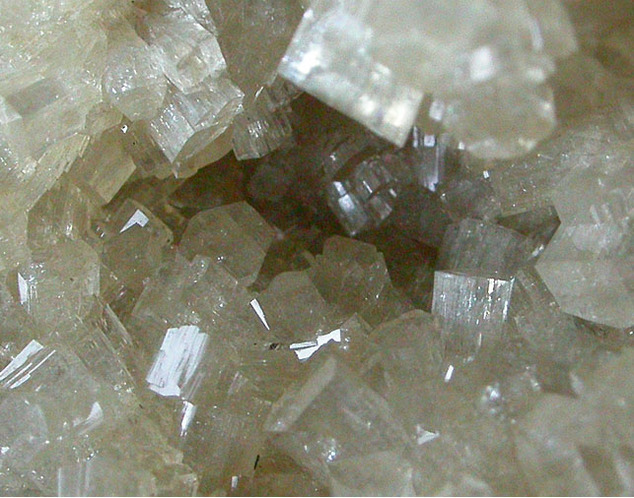 (1997): Recommended nomenclature for zeolite minerals: report of the Subcommittee on Zeolites of the International Mineralogical Association, Commission on New Minerals and Mineral Names. The Canadian Mineralogist. 35, 1571-1606. Alberti, A., M. Sacerdoti, S. Quartieri, and G. Vazzalini (1999), Heating-induced phase transformation in zeolite brewsterite: new 4- and 5-coordinated (Si,Al) sites: Physics and Chemistry of Minerals: 26: 181-186. Sacerdoti, M., G. Vazzalini, and S. Quartieri (2000), Dehydration mechanism in brewsterite: Single crystal X-ray diffraction study: Microporous and Mesoporous Materials: 41: 107-118. Artioli, G., Smith, J. V., & Kvick, A. (1985). 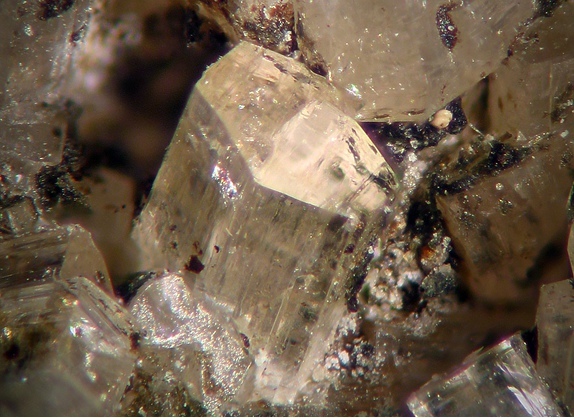 Multiple hydrogen positions in the zeolite brewsterite,(Sr0. 95, Ba0. 05) Al2Si6O16. 5H2O. Acta Crystallographica Section C: Crystal Structure Communications, 41(4), 492-497. Brooke, H. J. (1822) Edinburgh Philosophical Journal v6 p112.